For me, the best apostrophe catastrophes are those committed by entities I don't like. I love to point out the flaws of Coors Light, the Lakers, or Valentine's Day, but I feel a little bit guilty posting punctuation errors from places I admire. 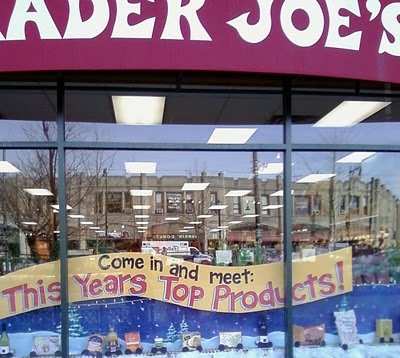 Case in point: Trader Joe's. Oh how I love your cheap wine and prepared ethnic meals, but what is the deal with these two apostrophe catastrophes that you have in your Coolidge Corner (Brookline) store? 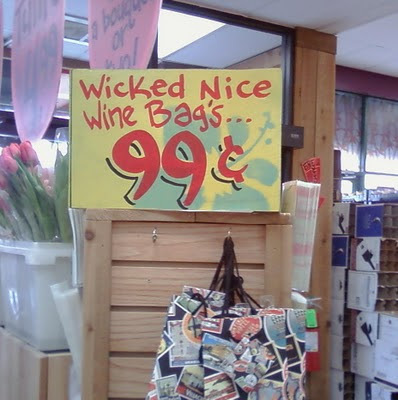 Trader Joe's, I love you, but you need to employ some proofreaders in your stores. Are you serious?!?! That is such a coincidence!!! It's a nice TJ's! I normally go to the one on Mem Drive, but I happened to be driving on Beacon St. and noticed the catastrophe, so I stopped. I am addicted to the frozen blueberries. I put them in yogurt with cereal every morning. Also addicted to the frozen blueberries... and raspberries... and mango... and, well, the whole store, really.